This slide design contains editable silhouettes for PowerPoint presentations that can be used for presentations on Conflict Management. The postures in this PowerPoint template contains people handshaking pictures, a business man running, business men talking and group discussion as well as other business gestures and situations. 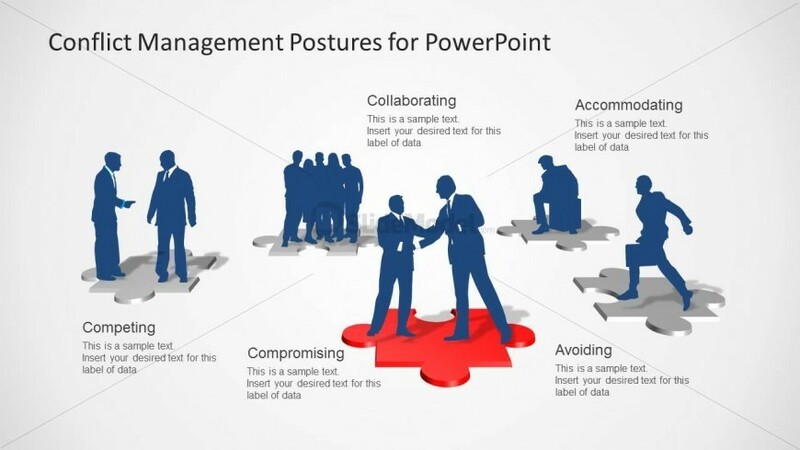 Return to Conflict Management Postures for PowerPoint.